Patients are excited and a bit apprehensive to begin Invisalign therapy. They wonder how they trays will feel, will their teeth hurt, how fast will the teeth move and how challenging will it be to wear the trays. On the other side of that equation they are excited to have straight beautiful teeth. The reality is that the challenges of sore teeth and daily tray wear precede the positive esthetic changes by weeks to months. This can often result in patients experiencing some buyer’s remorse in the beginning of treatment. One of the greatest challenges at the beginning of treatment is learning to place and remove the trays and the inevitable tooth soreness from initial orthodontic therapy. The placement of buttons and number of buttons intensifies both of these initial experiences. 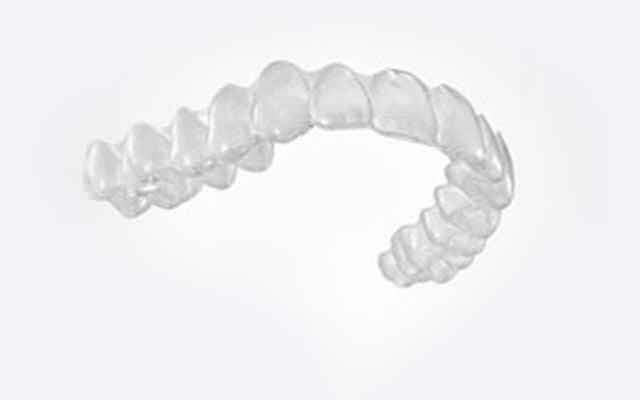 Recently I was discussing delivery of Invisalign with my friend and board certified orthodontist Dr. Cheryl DeWood and she told me that she delivers Invisalign in two phases. The first appointment she delivers the initial set of trays and works with patients on placing and removing the tray, daily wear habits, hygiene and what to expect around discomfort. With intention she does not place any buttons initially. The second appointment is scheduled one week later and the buttons that were planned for this first tray are now placed. After one week of tray wear the patient is proficient at placing and removing the tray and adding the buttons is a minor challenge. The tooth are already beginning to move and are beyond the first peak of soreness and again the addition of the buttons is a minor challenge. The only “cost” is the addition of one week int he first set of trays and this is a small price to pay for a patient that has an easier start to orthodontic care. After learning her approach I immediately switched how I was delivering Invisalign and have been dividing tray delivery and button placement a week apart. It is so much better for both the patient and our team that I will never go back to a single appointment. I put in my treatment preferences( which is for all cases )that I do not want to place any buttons until at least the second aligner is inserted. Thus they follow that for every case and it is not an issue anymore. Hi Judy! Yes in this instance the first tray is worn for 3 weeks. 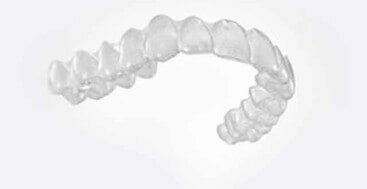 The newer Invisalign protocol requires wearing each tray for 1 week, so in that case they would wear the first tray for 2 weeks, or you can actually request that Invisalign not have you place attachments until the second tray.